Yep, pretty much the highlight of the week for these four! 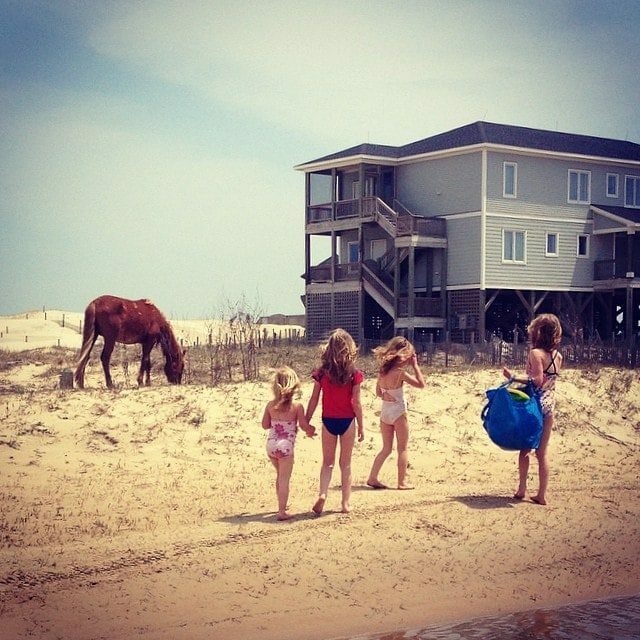 We’re on our way home from a week in this gorgeous place (Corolla, NC), where we pretty much lived with a family of 5 wild horses who could be spotted in our yard and the beach in front of the house several times a day! I’m hoping to share more pictures of our adventures with you soon, but needless to say, the girls could not get enough of the horses, which — for them, at least — more than made up for the cold, rainy weather we had for the first half of the week!